Major United States-based cryptocurrency exchange Coinbase announced a new market structure for its professional trading platform, Coinbase Pro. Major United States-based cryptocurrency exchange Coinbase announced a new market structure for its professional trading platform, Coinbase Pro, in a blog post published on March 15. Per the announcement, the changes aim to increase liquidity, enhance price discovery and ensure smoother price movements. 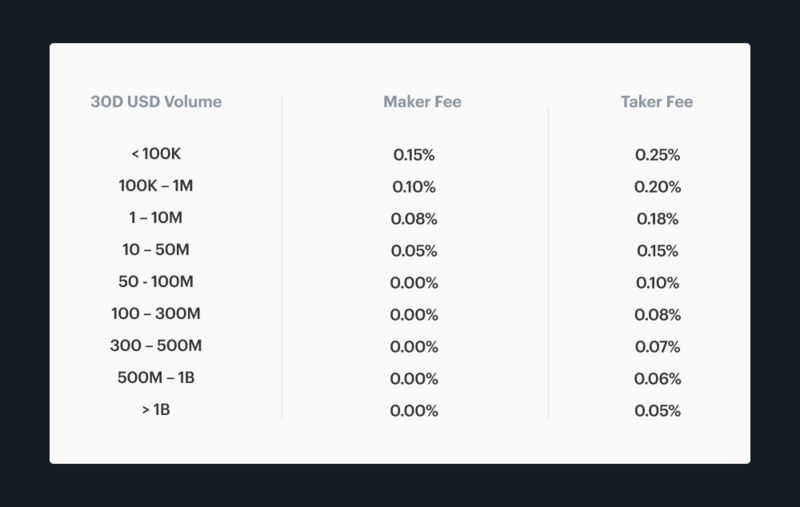 The changes include a new fee structure, reportedly designed to increase liquidity, updated order maximums, new order increment sizes, the turning off of stop market orders and added market order protection points. According to the post, Coinbase Pro and Coinbase Prime — the firm’s institutional trading platform — will cease their support for stop market orders. The announcement further explains that all stop orders must now be submitted as limit orders and include a limit price. On the other hand, the market protection points that will be introduced both to Coinbase Prime and Coinbase Pro users will amount to 10 percent for all market orders. The statement explains that market orders that move the price more than 10 percent will stop executing and return a partial fill. Lastly, the post warns the exchange’s user base that the platform will be offline on March 22 from 6:00 p.m. to 6:30 p.m. PDT. In the same Twitter thread, Krüger also questioned Coinbase’s decision to disable stop market orders, claiming that stop-limit orders sometimes fail to execute because of slippage, suggesting using far off limits on limit orders as a workaround. Still, Krüger also admitted that those changes should lead to increased liquidity and trading activity. As Cointelegraph recently reported, Coinbase Pro announced support for altcoin Stellar Lumens (XLM). Just yesterday news broke that publicly traded U.S.-based company Riot Blockchain has filed with the Securities and Exchanges Commission to launch a new regulated cryptocurrency exchange, called RiotX, in the U.S. by the end of Q2 2019. Copyright © 2018 - Token Articles (Part of Net Traffic Group). All Rights Reserved.